FRP Protection is very good in security purpose, but if you get your own device FRP locked, then that becomes a big headache, because when an owner of the device forget previously synced Gmail account, and hard reset his own device, then you even can’t access to device until you bypass FRP lock, so this method is specifically for Bypass Google Account Infinix Hot 6 X606D, and good thing is that this method will work with all ASUS Zenfone android 8.0 version devices, lets follow below all steps carefully to bypass Infinix Hot 6 X606D FRP Lock. This method is only for Device OWNER. Infinix Hot 6- Infinix X606d Version 8.1.0 Is One Of The Latest Infinix Hot 6 Series Produced At 2018 Year Ending. So This Particular Phone Comes With December 5, 2018, Security Patch. MobileRdx Always Ahead When It Comes To Technology Tips, Tricks And Fix. In This Page, We Are Going To Show You How To Reset Google Account On Infinix Hot 6 X606d Without Computer. Infinix Hot 6 X606d Frp Bypass Without Computer. 2. Get A Memory Card (Sd) Of About 1 To 2 Gb. 3. 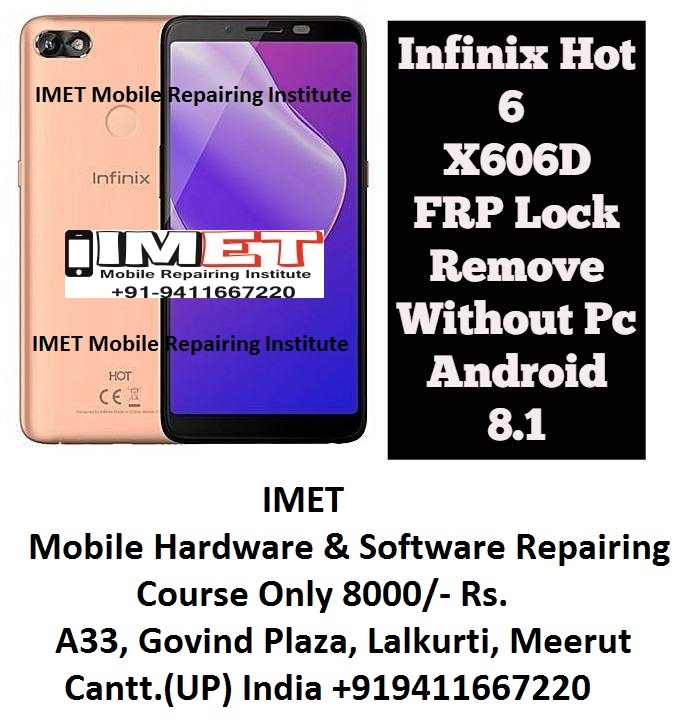 Hard Reset The Infinix X606d If Is Still Locked With Pin. 4. Boot Infinix Hot 6 X606d To A Stage Where It Says. Enter Your Google Account. 4. Select Ok And This Will Take You To The Infinix X606d File Manager. Restarts Your Infinix X606d And Frp Or Google Account Gone.